There is something beautiful about an oyster. It has been gently washed and examined. A sharp knife has danced across its lips, separating the halves neatly and easily. The top has been carelessly discarded by the shucker. A smooth sliding motion separates the muscle from its white heart and it is carefully placed in its bed of seaweed and ice with its companions. When the platter arrives before me, I pick up the first specimen and gently lift it , cradling the rough exterior , weathered by sea and sand, against my fingertips. It smells of salt water and seaweed, and I linger over the scent for both pleasure and self defense. It's soft interior is exposed, delicate and quivering in the humid air. 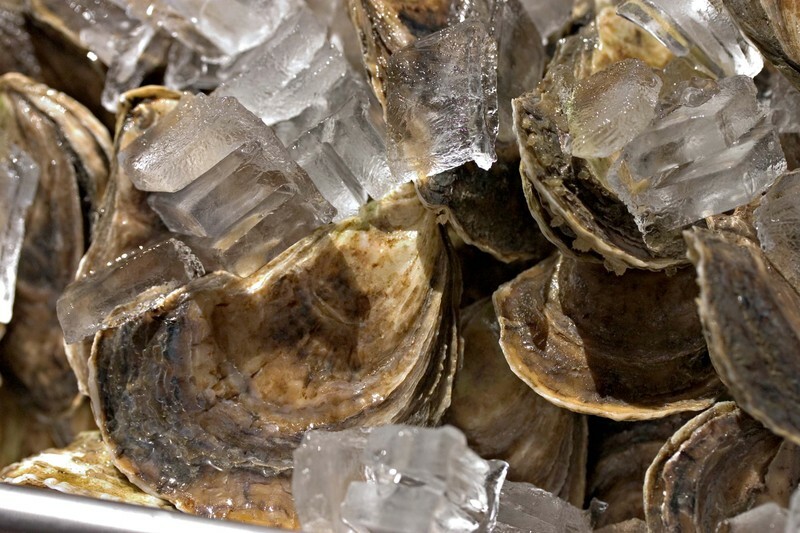 It is elegant, glossy, a mosaic of soft grays and browns, swimming in it's clear, briny juice. I bring the cup to my lips and drink, savoring the cold liquid and tenderly sucking the flesh from the bone. It is silken against my palate, salt washing over my tongue, as it slides through my mouth, collapsing slowly beneath my teeth, as I chew and swallow. My eyes are wide open and my senses hum with sudden vitality, as the oyster slowly disappears, leaving nothing but the ocean breeze echoing through my senses. They are both stimulant and sedative. I am relaxed and yet hyper-sensitive, as though looking through a fun house mirror. Details are magnified. It is a private moment in a public domain as I savor the fleeting sensations. I rest for a moment. Then, ever so slowly, I reach for another.